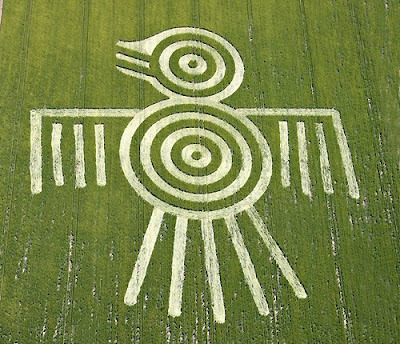 On the 14th of June 2009, a crop circle which closely resembles the 'Aztec Spirit Bird' appeared in the fields at Barbury Castle near Wroughton, Wiltshire. The formation also bears resemblance to the 'Mayan Thunderbird' and the 'Egyptian Phoenix' also known as the 'Bennu Bird'. Bennu comes from the verb Weben which means 'to rise brilliantly' or 'to shine' ... In Egyptian mythology Bennu also means 'The Ascending One' or 'Lord Of The Jubilees' symbolizing the spirit of the Sun God Ra ! 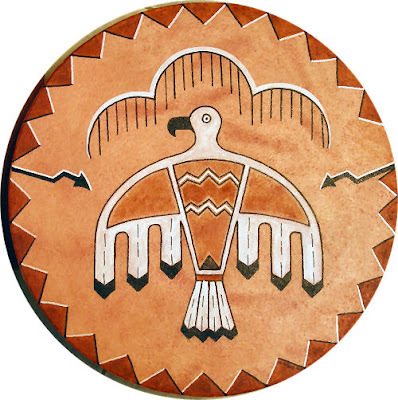 The 'Aztec Spirit Bird Crop Circle' symbolizes evolution of the human spirit ... the awakening of cosmic consciousness by triggering archetypes from history that rest within our sub-conscious ..... Now is the time to 'Rise & Shine' ! Be Love ... Be Light ! does this really happen what were they trying to say?